We get to see a lot of Matthew McConaughey’s turn as “Moondog” right up front. Is he a hype man for Jimmy Buffet? Is he Snoop Dogg’s number one entourage member? Or is he simply a local legend? This montage of antics is like a hodgepodge of Wes Anderson-esque chicanery with a slice of a Jimmy Buffet-sized lime. The bewilderment beating then continues: wait he’s married to Isla Fischer and he’s rich? Okay. One ad-libbed Snoop scene later and the plot comes into focus. Moondog is a wandering renown poet who enjoys slumming it in the Florida Keys, which explains why people put up with him in the intro. But he’s also rich you see, compliments of his wife’s fortune. That premise is basically the theme of the entire film, with little room for nuance. 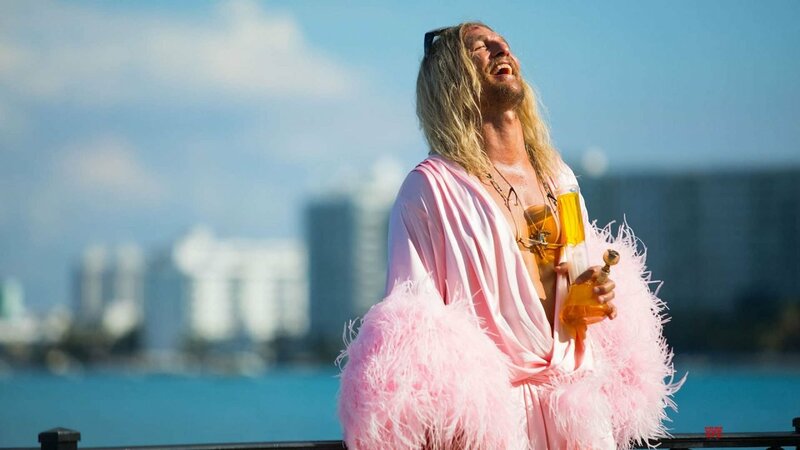 There’s a character study buried under all the weirdness and cameos: potential for this to be Matthew McConaughey’s Lost in Translation with a tighter script and direction (Harmony Korine’s Spring Breakers was far more focused and enjoyably weird). During the short runtime that feels like eons, Moondog is portrayed somewhere in-between McConaughey’s character from Dazed and Confused and The Big Lebowski’s Dude. I can see where the production team was going with this and more than a few scenes will elicit some smiles. Yet, before you know it, 45 minutes has gone by (half the runtime) and almost nothing of value spiritually or narratively has happened. Moondog hits rock bottom by any standard, but Moondog truly is never rock bottom in his own mind. Again, that’s the entire movie, amid lots of grunts and coy looks from McConaughey. Beach Bum is a lot like those Adam Sandler movies that are created just hang out with friends. 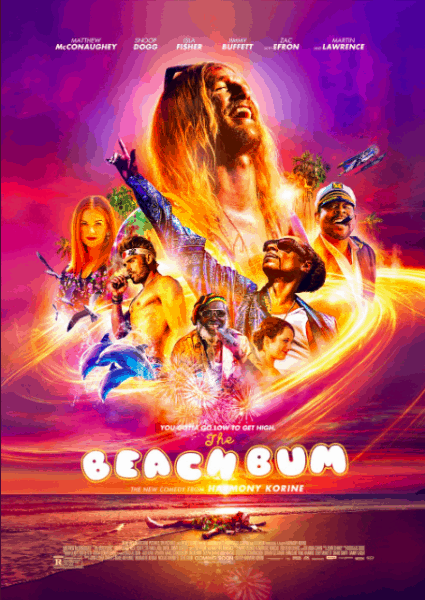 In a way, Matthew McConaughey wanted to chill with Snoop and agreed to star in Beach Bum (and just in case you weren’t sure it was actually a documentary with an eccentric McConaughey, Snoop chokes on a bong rip so you know it’s make-believe). It’s good to see Martin Lawrence back on the big screen at least: that’s pretty much the best thing I can say about it. The Beach Bum, much like its titular protagonist, is aimless in just about every sense.